Hi, all. 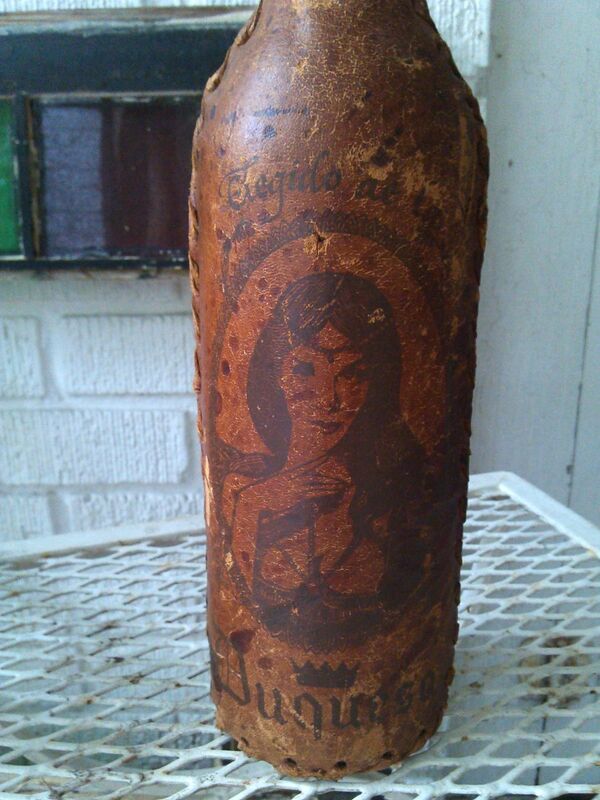 My parents recently obtained the pictured bottle at an auction recently and we're trying to figure out if it's worth anything or not. It's bound in leather with a woman and the name "Elegido de la Duquesa" on the front and an inscription in Spanish on the back. The writing is hard to make out due to the leather wearing out, but we've determined it's from San Rafael, Mendoza, Argentina. There's a paper label on the bottle itself, but it's almost completely obscured by the leather casing. However, from what we can see, it doesn't look like a typical mass-produced wine label. 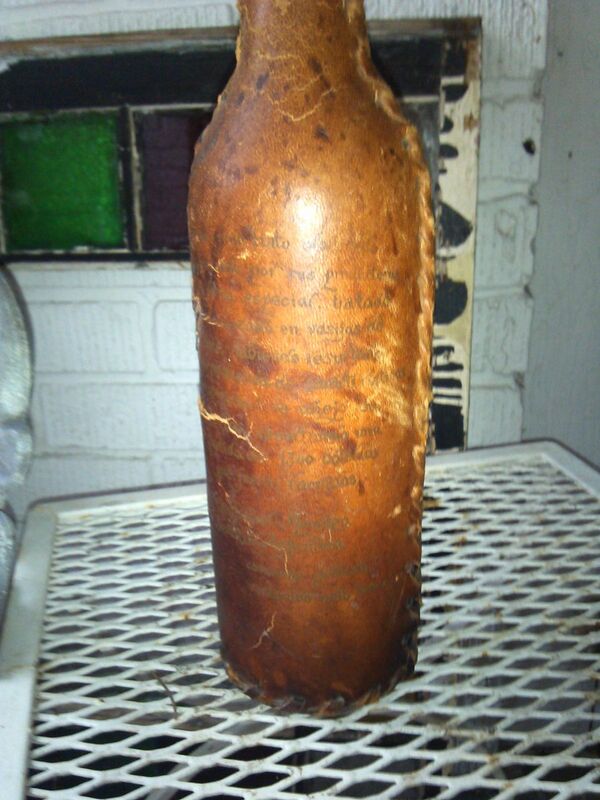 If anyone is familiar with similar types of leather bound bottles and their purpose or have heard of this particular kind of wine before, your help would be greatly appreciated. Thanks! It would be most helpful to see a picture of the mouth of the bottle, and if any glass happens to be showing on the base, please provide a picture from that angle, too.